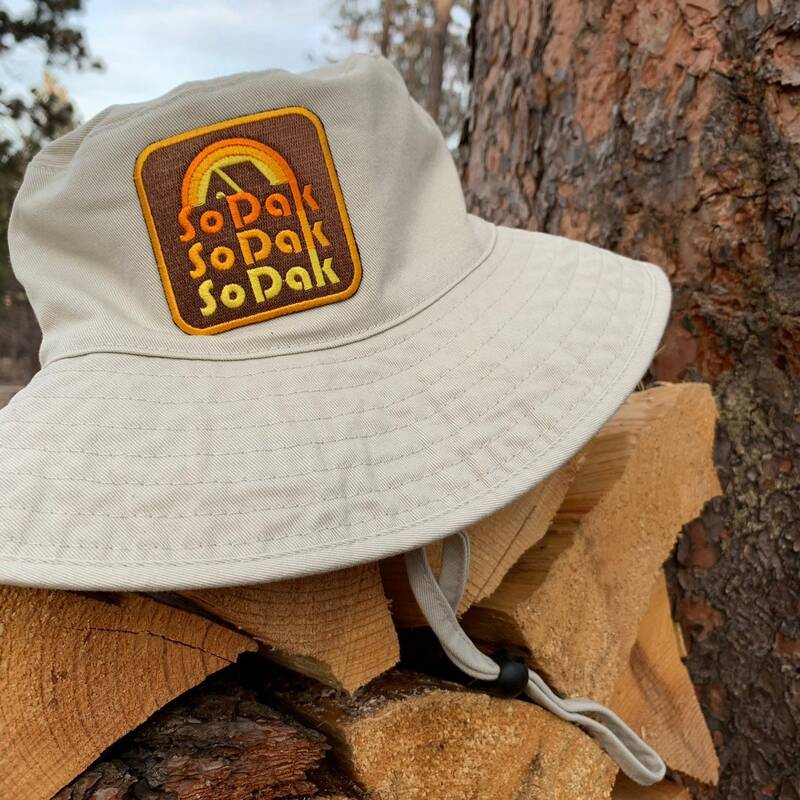 This SoDak Retro River Hat will be perfect for any outdoor adventure you have planned in South Dakota! The high quality khaki bucket hat features my original Oh Geez! 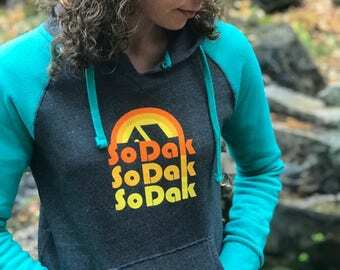 Design, embroidered patch design of SoDak text in a thick retro font along with a sunset and tent outline in bold sunset colors. The bucket hat has an adjustable chin cord, brass side eyelets, and contrast stitching under the brim. The wide brim will give you some shade from those SoDak sun rays. It is 100% twill cotton and made in USA. 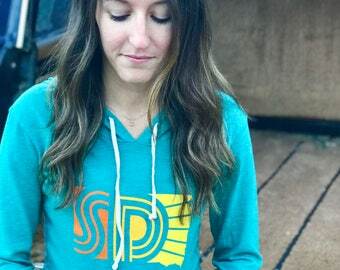 It is unisex and fits most sizes.